François COUPERIN: Pièces de clavecin, Book I: Ordres 1 and 5 (1713); Book II: Ordres 6, 7 and 8 (1717); L’Art de toucher le clavecin: Préludes 3, 5, 6 and 7 (1716). Frédérick Haas (hpsi). Alpha 136 (2 CDs) (http://www.alpha-prod.com/). Distributed in the US by Allegro Music (http://www.allegro-music.com/). It’d be pleasure enough merely to listen to this 1751 Jean-Henri Hemsch doing anything. As it happens, Haas offers perhaps the best, newest Le Grand on the market. 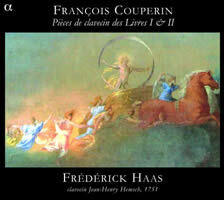 Couperin leapfrogged the prevailing suite design, assembling tonally related pieces into Ordres. After a few dance movements, the First Ordre plunges into miniatures, portraits and enigmatically titled character pieces. Some dance movements would appear in later Ordres; however, Couperin was more interested in capturing moods. Though by the time the ink was dry, his pièces were simultaneously archaic and epitomes of 18th-century French taste. Les Baricades Mystérieuses (Ordre 6) is the piece everybody knows. Haas’ stellar rendition invites us to consider its neighbors, Les Langeurs-Tendres and Les Bergeries, the latter which Bach found interesting enough to adapt into Anna Magdalena’s collection. Other high points include La Ménetou and La Raphaèle, which open Ordres 7 and 8 respectively. The notes hint that these two CDs begin a series. I certainly hope so. Johann Sebastian BACH: English Suites, BWV 806-811 (ca. 1718-20); French Suites, BWV 812-817 (1722); Klavierbüchlein für Wilhelm Friedemann (1720-22). Christophe Rousset (hpsi). Ambroisie AM 196 (6 CDs) (http://www.naive.fr/). Distributed in the US by Naxos (http://www.naxos.com/). 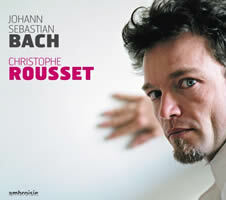 Rousset’s Bach is like a homecoming, and not simply because these releases, once available as three separate two-CD sets, are now scarce. Rousset’s playing is exemplary. His style emphasizes linearities. Listeners expecting to hear chords and harmonies may be baffled. I come to these pieces with a newfound French perspective that permits me to hear several two-part Preludes in the English Suites imitating French Ouvertures. The Second English Suite’s Allemande and the Third English Suite’s Gavottes also suggest Le Grand. Italian influences abound, as in the concerto-like Second English Suite’s Prelude which could have been a transcription of a Vivaldi Allegro. In any event, the chromatic fugal closing Gigues to the Fifth and Sixth English Suites could only be J.S.B. Because of their dance-form models, the English Suites are actually more French than the French Suites themselves, which are rather more Italian — ironically, the Third French Suite has an Anglaise. The English and French descriptors were applied years after, perhaps to acknowledge a dedicatee. Less robust and contrapuntal, the French Suites aren’t as cohesive as the English Suites except for the Fifth with its bright, virtuosic Gigue. The Sixth’s Prelude matches WTC I’s E-major Prelude. Rousset’s masterly Klavierbüchlein für Wilhelm Friedemann spreads 69 instructional pieces across two discs. 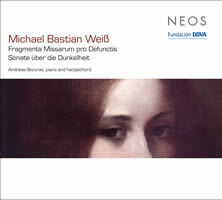 We recognize beginners’ Bach as well as drafts prefiguring the Inventions and Sinfonias along with a few WTC preludes. The pedagogical collection includes pieces by the dedicatee, others by composers outside the family (J.C. Richter, Telemann, Stölzel, et al.). Rousset plays a restored Johannes Ruckers (dated 1632 and 1745, restored 1787) from the Musée d’Art et d’Histoire de Neuchâtel, Switzerland. Recording details are murky: The booklets contradict the slipcase. However, it’s plain that the Klavierbüchlein’s tuning and acoustics (rec. 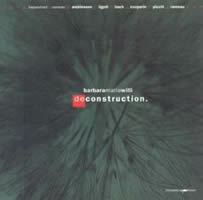 11/2004) differ from that of the Suites (English rec. 2/2003; French rec. 2/2004). I hope a fresh take on the Goldberg Variations is in the works. Jean-Philippe RAMEAU: Les Indes galantes (1735, trans. for hpsi). Christophe Rousset (hpsi). Ambroisie AM 152 (http://www.naiveclassique.com/). Distributed in the US by Naxos (http://www.naxos.com/). Rameau’s opéra-ballet premiered in 1735 and, after several revisions and additions, endured until the 1780s. This transcription comprises four unevenly sized concerts and a “new entry,” the popular Les Sauvages section. Unlike Rameau’s keyboard works, Rousset reveals that certain of these 32 pieces are bluntly unidiomatic, offering but two unharmonized parts or spanning three or four staves. Be that as it may, more keyboard Rameau is welcome, and it thrills to hear these excerpts on the Hemsch. Among high points: the Ouverture, Air pour Borée et la Rose, Air vif pour Zéphire et la Rose, the four-stave Adoration au Soleil and the concluding Chaconne. We couldn’t wish for a better performer. Jacques DUPHLY: Pièces de clavecin. Elisabeth Joyé (hpsi). Alpha 150 (http://www.alpha-prod.com/). Distributed in the US by Allegro Music (http://www.allegro-music.com/). Duphly, or Du Phly, has already made an appearance, though we did not learn that he died in Paris on July 15, 1789, the day after the Storming of the Bastille. 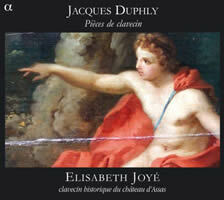 Joyé selects 14 pieces from Duphly’s four books (published in 1744, 1748, 1756, and 1768). The assortment opens with La Forqueray (Book III) whose low register and arpeggios suggest its viol-playing dedicatee, followed by a pungent Médée (Book III) which reminds one of Royer’s more vigorous music. Duphly’s indebtedness to his predecessors is evident: A charming Rondeaux (Book I) recalls Couperin’s Les Baricades Mystérieuses. Joyé captures that near-indefinable rhythmic elasticity which makes French Baroque music so captivating. Anthony Sidey prepared the anonymous “historic” instrument from the Château d’Assas. Scott Ross used the same harpsichord for some of his recordings. Pietro Domenico PARADIES [PARADISI]: Sonate di Gravicembalo (publ. 1754). Filippo Emanuele Ravizza (hpsi). Vol. 1: Concerto CD 2003; Vol. 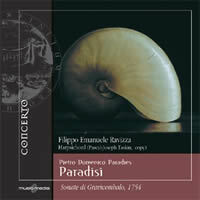 2: Concerto CD 2025 (http://www.concertoclassics.it/). Distributed in the US by Naxos (http://www.naxos.com/). Not much is known about the Neapolitan Paradies (b. 1707) or Paradisi as he is more commonly known. His early training may have been with Porpora. In 1746 he moved to London, establishing himself as a teacher and performer recognized by Burney. The 12 sonatas were published in 1754. He returned to Italy in the 1770s and died in Venice in 1791. 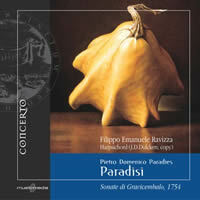 Two individually marketed CDs offer all the Paradisi sonatas with a Fantasia (Disc 1) and a solo Concerto in B-flat (Disc 2). Each sonata pairs two contrasting movements (fast-slow, fast-faster or slow-fast). Admittedly a recent arrival to this genre, I couldn’t help hearing D. Scarlatti’s influence alongside French touches in Sonata IX and the Fantasia. The concluding Allegro of Sonata VI is apparently Paradisi’s most enduring creation. Two harpsichords are used: a J.D. Dulcken copy for the first six sonatas and the Concerto, and a Pascal-Joseph Taskin copy for the last six. Ravizza, who seems to play definitively, supplies detailed notes. He appears on a recent release in the Eight Sonatas, Op. 1 of Domenico Alberti (Concerto 2067) after whom the Alberti Bass is named. Claude-Bénigne BALBASTRE: Pièces de clavecin, Book I (1759); Excerpts from Livre contenant des pièces de différent genre d’orgue et de clavecin (1749); La d’Esclignac (1787); Prélude (1777); Marche des Marseillois et l’air Ça-ira (1792). Jean-Philippe RAMEAU: Pygmalion (1745, arr. Balbastre). Elizabeth Farr (hpsi). Naxos 8.572034-35 (2 CDs) (http://www.naxos.com/). A habitué of the French court, Citizen Balbastre nonetheless survived the French Revolution, having written a theme and variations on the Marseillaise, and died destitute in 1799. Farr’s two-disc sampling offers excerpts from a 1749 collection of organ and harpsichord sonatas and pieces, the 17 selections from his 1759 Pièces de clavecin, and two later works. The distance between the earliest items and the later First Book is wide: Mid-measure enharmonic twists give way to solidly harmonized lines. Balbastre’s Pygmalion arrangement consists of the ouverture and three pieces. Farr employs a modern Keith Hill with a 16’ stop whose grand bass excites. 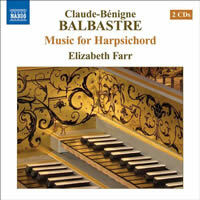 Compared to a random sampling of earlier releases (de la Guerre, Bach, D’Anglebert), Farr has hit her stride. “Vertigo.” Pancrace ROYER, Jean-Philippe RAMEAU, Élisabeth Jacquet DE LA GUERRE, Antoine FORQUERAY arr. Jean-Baptiste FORQUERAY: Pièces de clavecin. Imbi Tarum (hpsi). Estonian Record Productions ERP1207 (http://www.erpmusic.com/). 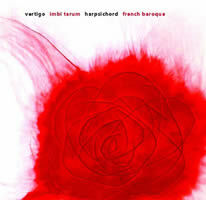 Tarum’s appealing program collects five sets of virtuosic French harpsichord music: Three Royer pièces culminate in Le Vertigo, four Rameau selections conclude with Les Cyclopes, three Forqueray items finish with a vigorous Jupiter, a Chaconne wraps up three de la Guerre entries, and a final Royer trio concludes the disc with La Marche des Scythes. A little more breathing room between phrases would have enhanced the music’s energy and flair. It is incomprehensible that there are not more Royer and Forqueray recordings. I plan to share this with folks who don’t understand what the fuss is about with respect to the French Late Baroque. Samuli Siponmaa’s 1994 instrument is modeled on a Blanchet two-manual. “Per Clavicembalo Moderno.” Hanna KULENTY: E for E (1991). Zbigniew BARGIELSKI: Le cristal flamboyant (2002). Marta PTASZYŃSKA: Touracou (1974). Wojciech WIDŁAK: Chromatic Fantasy (2003). Marcel CHYRZYŃSKI: Reflection No. 2 (2005). Aleksandra GRYKA: Nonstopping (2000). Zygmunt KRAUZE: Commencement (1982). Włodzimierz KOTOŃSKI: Aurora borealis (1998). Gośka Isphording (hpsi). DUX 0605 (http://www.dux.pl/). Distributed in the US by Qualiton (http://www.qualiton.com/). “Wired.” Paul WHITTY: Seven Pages (2008). James DILLON: birl (1986). Roger REDGATE: Residua (2007). Paul DIBLEY: INV I (2005); INV III (2007). Paul NEWLAND: 1–4 (2007). Mike VAUGHAN: In Memoriam… (layer 6) (2008). Sohrab UDUMAN: Breath across autumnal ground (2007). Sam HAYDEN: scintilla (2007). Jane Chapman (hpsi). NMC D145 (http://www.nmcrec.co.uk/). Distributed in the US by Qualiton (http://www.qualiton.com/). “Deconstruction.” Johann Sebastian BACH: Chromatic Fantasy and Fugue, BWV 903 (ca. 1720). François COUPERIN: Les Baricades Mystérieuses (1717). Giovanni PICCHI: Pass’e mezzo (1621). György LIGETI: Hungarian Rock (Chaconne) (1978). Jean-Philippe RAMEAU: Suite in A minor (1726-7). Louis ANDRIESSEN: Ouverture to Orpheus (1982). Barbara Maria Willi (hpsi). Musicaphon M 56863 (http://www.musicaphon.de/). Distributed in the US by Qualiton (http://www.qualiton.com/). Michael Bastien WEIß: Fragmenta Missarum pro Defunctis, Op. 7 (2000); Sonate über die Dunkelheit (Symphony No. 2), Op. 13 (2006). Andreas Skouras (pno, hpsi). Neos 10830 (http://www.neos-music.com/). Distributed in the US by Qualiton (http://www.qualiton.com/). It was inevitable, after several batches of mostly French Baroque, that we’d stray into the 20th and 21st centuries. 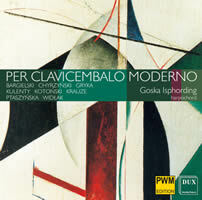 Isphording’s disc of eight contemporary Polish works offers statesmen Krauze (b. 1938) and Bargielski (b. 1937) alongside whippersnappers Widłak (b. 1971), Chyrzyński (b. 1971) and Gryka (b. 1977). To my ear, Elisabeth Chojnacka’s Rhythm Plus (ADDA 581233) release hovers in the background: Much of this music exhibits familially snappy rhythms and a characteristically case-hardened tone. There are no clunkers. Each entry’s dynamism and crispness is enormously appealing; among the winners, Kulenty’s E for E contrasts chords, arpeggios and a jazzy tune over an insistent pulse, and Ptaszyńska’s Touracou releases short, percussive birdlike chirps. Chyrzyński’s Reflection No. 2 and Gryka’s Nonstopping’s minimalist vapors revel in the harpsichord’s electric sound. Bargielski and Kotoński add tape. Isphording plays a 2001 Reinhard von Nagel copy of a Blanchet and a 1963 Neupert. 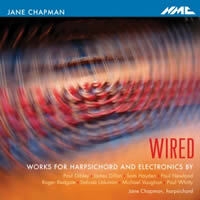 Chapman’s recital unfolds symmetrically, most works requiring electronics of some sort. Whitty, Dibley and Newland’s items wrap the other works like layers of an onion. Whitty’s two-part Seven Pages derives from Ligeti’s seven-page Continuum. The first part removes the instrument’s strings, leaving just the action’s rapid clattering; the second illuminates the resonance of one pitch on page five. Dibley’s INV pieces are a hearty stew jumbling pre-recorded sound with real-time processing. In Newland’s 1-4, the player plucks strings directly, makes noise with the tuning key, or uses “EBows” to create continuous sounds. Dillon, Redgate and Hayden’s pieces are for solo harpsichord. Dillon’s birl is but a minute-long scrap. Redgate and Hayden’s offerings are concise multi-movement collections. Willi programs pieces that stretch the harpsichord’s boundaries. The Baroque repertoire proves less satisfying than the Ligeti and Andriessen, this latter item a likely candidate for oboes and electric guitars à la De Staat. 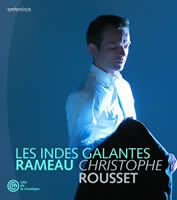 While Rameau is of course a pinnacle, the Suite in A lacks that necessary pinch of playful wit. Philosopher / composer Weiß doesn’t do small. Scored for solo harpsichord, the Sonate über die Dunkelheit, alternately his Symphony No. 2, roars along for 50 minutes, fugues and arias included. To maximize possibilities, the upper manual is tuned down a quarter-tone. Fragmenta Missarum pro Defunctis for piano offers requiem fragments, a Luceat eis and Per sepulcra.